As the health care industry grows, the need for qualified nursing assistants will continue to increase. Certified Nursing Assistants provide direct care services to patients under the direction of licensed practical nurses, registered nurses, or physicians. They attend to the ever-increasing needs of the aging population and make a difference in the quality of care patients receive at hospitals but particularly at long-term care facilities. Nurse assistant training programs in Garland, Texas equip individuals with the knowledge, skills, and confidence to assist patients with their healthcare needs and daily living activities. Bah Career Training prepares nursing assistant students for practice by providing them with the basic skills and abilities to function as a part of the healthcare team. Graduates are eligible to take the nurse aide competency exam to qualify for employment at a hospital, nursing home, patient home, hospice, or long-term care facility. Course topics include basic nursing skills, infection control, patient safety, emergency procedures, personal hygiene, anatomy and physiology, communication skills, mental health, and the role and responsibility of nurse aides. Tuition for the program is $400. Bash Career Institute’s Certified Nursing Aide program is a 100-hour program comprising of classroom, lab, and clinical instruction. Graduates are eligible to take the State of Texas CNA Exam. Students must attend all classes and be on time to complete the full 100 hours required for graduation. The curriculum prepares students to communicate effectively with patients and other members of the healthcare team, to respect patients’ independence and rights, to perform infection control measures, and be mindful of patients’ safety. During the clinical portion of the exam, students will perform direct care services under the supervision of the registered nurse instructor. They’ll learn how to turn and reposition bed-ridden patients, answer call signals, apply dressing, empty bedpans, feed patients, measure and record food and fluid intake and output, bath, groom, and dress patients, and assist patients with exercise routines. Applicants must be 16 years or older, have evidence of completing eighth grade or higher, pass a drug test, and provide copies of a valid ID and social security card. Students complete the nurse aide program at C.E. Global in 4 to 5 weeks. 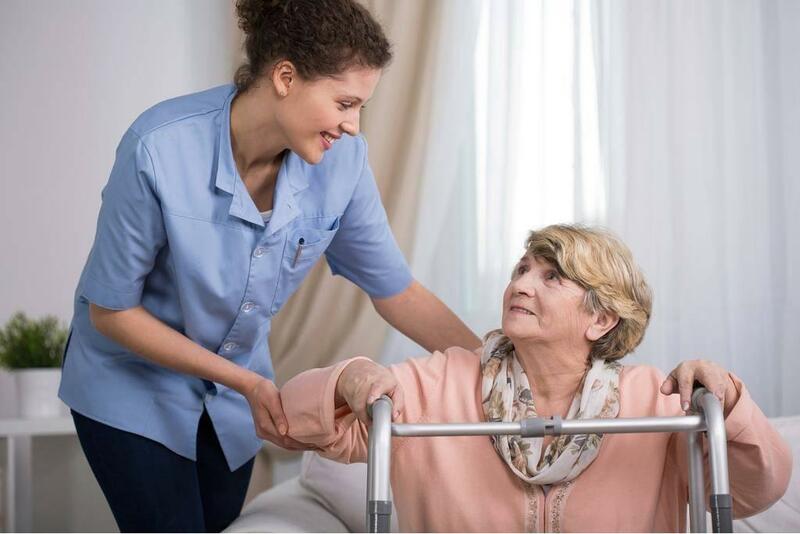 The curriculum prepares students to provide basic nursing assistance to patients in hospitals, nursing homes, residential facilities, and private residences. Instructors emphasize the development of those skill sets required to provide competent care during emergencies and other demanding scenarios. The program will be taught by a Licensed Nurse Trainer, who will provide personalized instruction and monitor students’ pace throughout the sessions. Weekday and weekend schedules are available to accommodate working students. Applicants must pass a criminal background check and obtain TB clearance before clinical placement. Students must pay the $200 deposit by the first day of classes. A flexible payment option is available for the balance. The tuition includes a loaner textbook. Students must purchase scrubs and a nursing supply kit. Students enrolled in Centric Nursing Institute’s nursing assistant program receive basic skills to care for patients in long-term care and other healthcare settings. Graduates will be able to communicate effectively, perform first aid, measure vital signs, and apply the principles of nutrition in meal planning. They also learn infection control measures and how to use proper body mechanics to turn patients and make the beds. Upon completion of the program, students will receive a certificate that will make them eligible to take the state certification exam. Applicants must visit the school and meet with representatives to share goals and get answers to questions. The school offers morning and evening sessions – 20 students are accepted in each session. Morning sessions meet from 8:30 am to 12:30 pm from Monday through Friday for four weeks. Evening sessions meet from 5:30 pm to 9:30 pm Monday through Thursday for four weeks. All applicants must be 18 years or older at the time of application and have a current ID and social security card and a minimum eighth-grade education. Tuition is free to students who qualify with DARS. Arlington Career Institute’s Certified Nursing Assistant program prepares students for success on the state certification exam and employment as a CNA. Students will learn basic patient care from experienced instructors who will guide learning in the classroom, skills lab, and clinical site. Course topics include feeding and nutrition, infection control, basic nursing skills, anatomy and physiology, medical terminology, ethics, safety and emergency procedures, body mechanics, vital signs, observation and reporting, hospice care, and role and responsibility of the nurse aide. Applicants must have a minimum eighth-grade education, a state ID and social security card, and documentation of TB clearance. A criminal background check, CPR, and immunization may be required for placement at the clinical site. The program is available in morning and evening schedules. The total cost includes uniform, state testing, books, and fees. A flexible payment plan is available for all students. Teamwork Career Institute prepares nursing assistant students to meet the demands of caring for patients in long-term care. Before assignment in a clinical setting, students receive instruction in the classroom and opportunities to develop and practice clinical skills in a simulated lab. The course content includes protecting, supporting, and promoting patients’ rights, observation and reporting skills, safety and emergency procedures, communication skills, and the role of the nurse aide. Graduates are eligible to sit the nurse aide certification exam and receive the title of Certified Nurse Aide upon successful passage of the state test. Applicants must have current photo identification, a high school diploma or GED, a social security card, and documentation of immunizations (Hepatitis B, chicken pox, tetanus/diphtheria, flu season). TB clearance and criminal background clearance must be completed before the clinical assignment. The program tuition includes one set of scrubs, a loaned textbook, workbook, and CPR certification.